You’ve reached the limit! Use 8 characters or less. 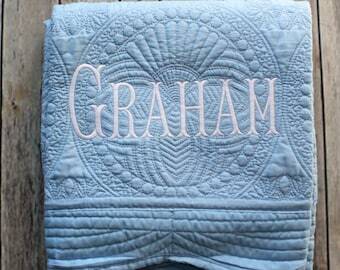 This listing is for a personalized baby quilt for your sweet baby boy. 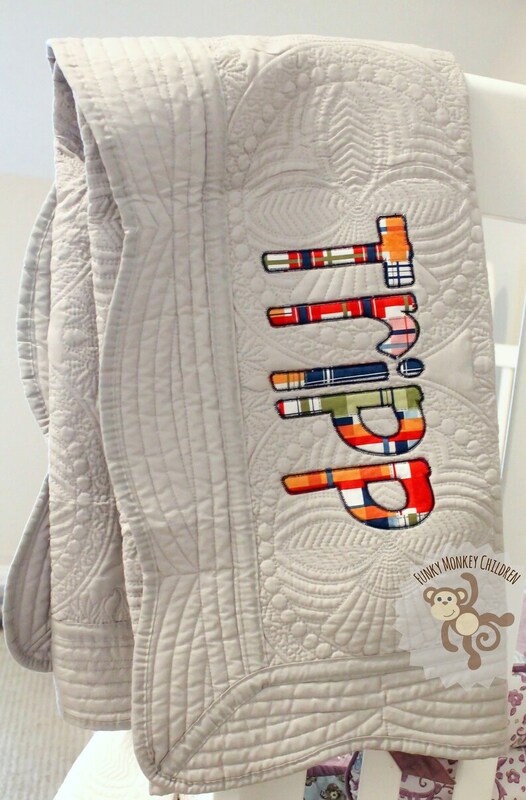 The scalloped edges of the blanket add a sweet detail, and the full name appliqued in a open stitch makes it so sweet and personalized. 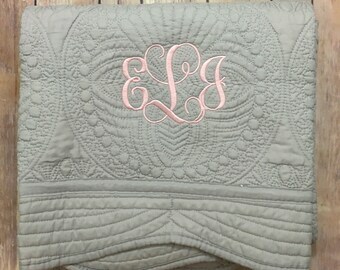 The blanket can be paired with other items for a complete gift set. Gown/hat and burp cloth set pictures are just examples of other items that have been made with the madras plaid, but the options are limitless! Message me for a completely custom set. 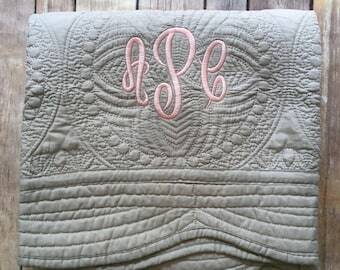 This blanket comes with the first name for the baby. 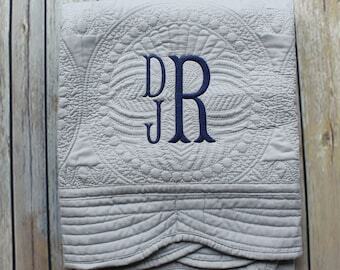 For a longer name, please note that the letters will be smaller to fit (total sewing size is around 11 inches). Patterns can be changed, so just let me know what you are looking for. 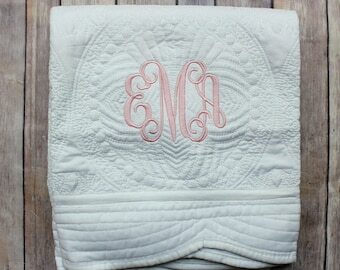 Quilt can also be made for a girl with feminine colors and patterns. Blankets measure 36x46 inches (perfect for a standard size baby crib.) They are soft and cozy, and will be a treasured heirloom gift for years to come. Super cute, soft, and high quality!